Are you feeling like you’ve had too much indoor time with the lingering snow on the ground and temperatures below freezing lately? Here are a few ideas to get you outdoors, even if it is in your own backyard. Start keeping track of the birds you see in your yard for the year. I started doing this on January 1st, and I have found 40 species as of yesterday. My goal is 100 species identified from the yard this year. All birds you see or hear while you are in your yard count, even birds flying overhead. I am maintaining the yard list on my e-bird account, which is where I keep all of my bird records. This site is run by the Cornell Lab of Ornithology. I urge you to check out www.ebird.org and start an account. Keep your yard list on this fun on-line database, and go to the “add a yard” button in the data tab to compare them with other birders in the USA and the state you live in. In Pennsylvania where I live, there is actually a state-wide, year-long yard bird list contest that I am participating in, and you can too if you are a resident. 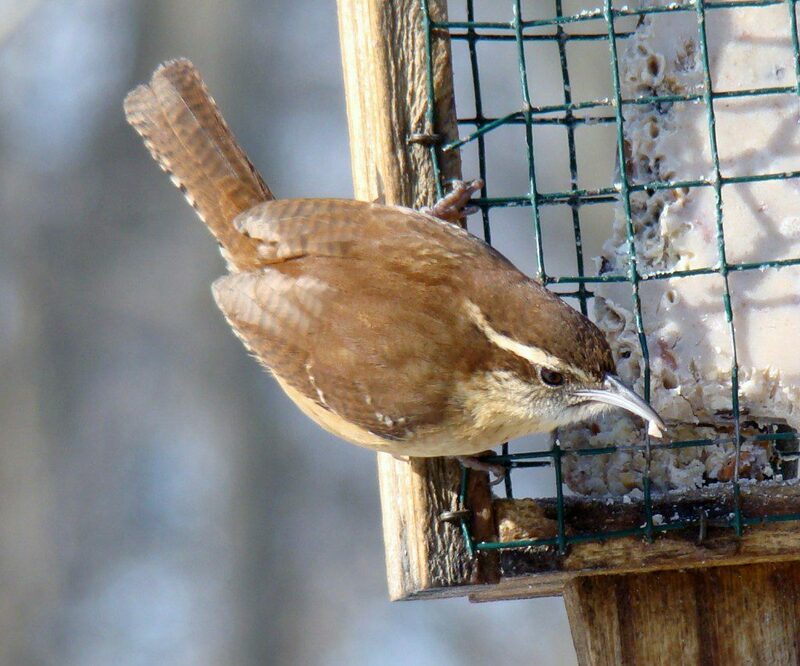 Carolina Wrens are a frequent visitor to my feeding station. I am trying to get them to eat the Brown Stinkbugs that are wintering in my house. I put the stinkbugs where they would be an obvious meal, but they haven't been interested so far. E-bird takes your data and makes it available to the scientific community through the Avian Knowledge Network, so therefore your observations are useful to our understanding of birds. If you like e-bird, you can add individual bird sightings or whole lists into the database from anywhere on earth! If you have lists collecting dust from years past, enter those as well to immortalize your observations. Now it sounds like you have a winter project to get excited about! If you want some help with e-bird, please contact me. This Carolina Chickadee was visiting my feeders over the weekend. Notice the band on the right leg? I live close to the site of the Bird Banding at Bucktoe program that is held every September, which is probably where this bird was banded. Another chance to force yourself outdoors is a birding event called the Great Backyard Bird Count, February 18-21. Pick any time, or several times during this four day period to find birds in your backyard, nearby park, or neighborhood. Enter your sightings into the Great Backyard Bird Count website to help scientists get a mid-winter snapshot of bird populations around the country. Last year, almost 100,000 checklists were submitted. 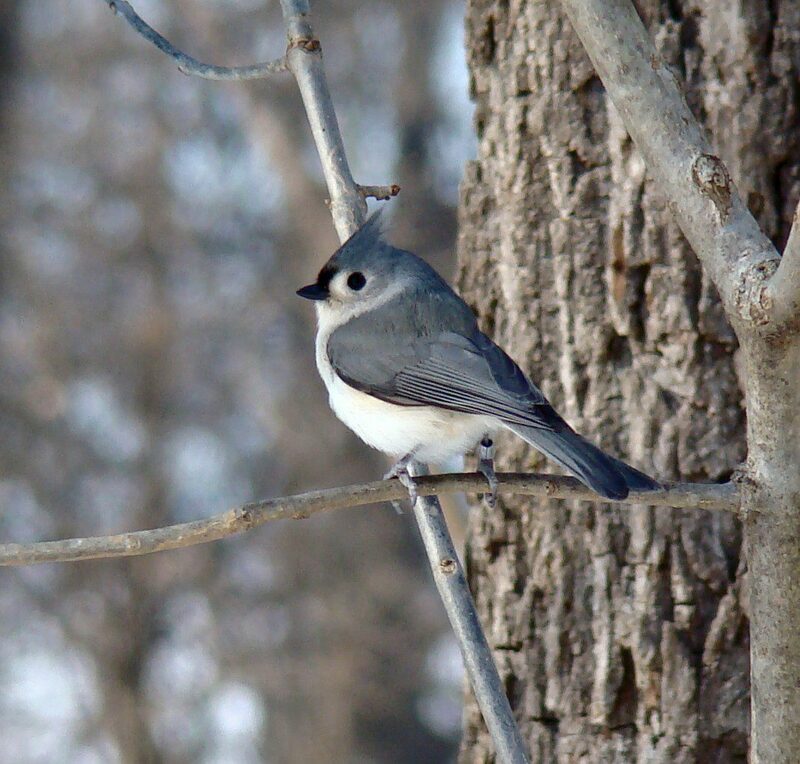 This Tufted Titmouse was visiting my feeder this weekend and is also wearing a U.S. Fish and Wildlife Service band. I see these banded birds at my feeders regularly since we've banded lots of Chickadees and Titmice at Bucktoe Creek Preserve over years, and these birds do not migrate. 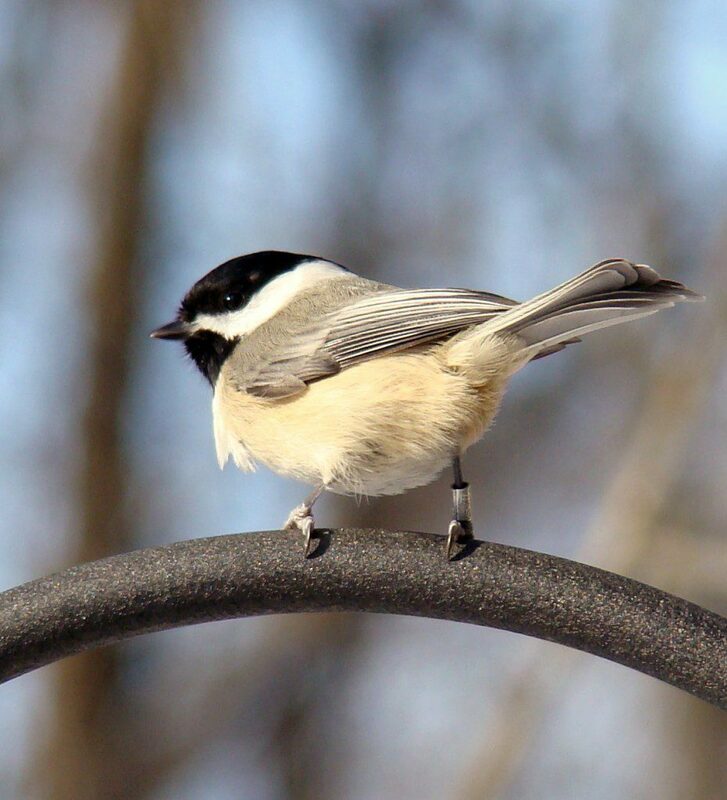 Join us on these upcoming Delaware Nature Society programs: Breakfast and Backyard Bird Count program, February 18th, 8-11am at Ashland Nature Center. A diner-style breakfast is included. 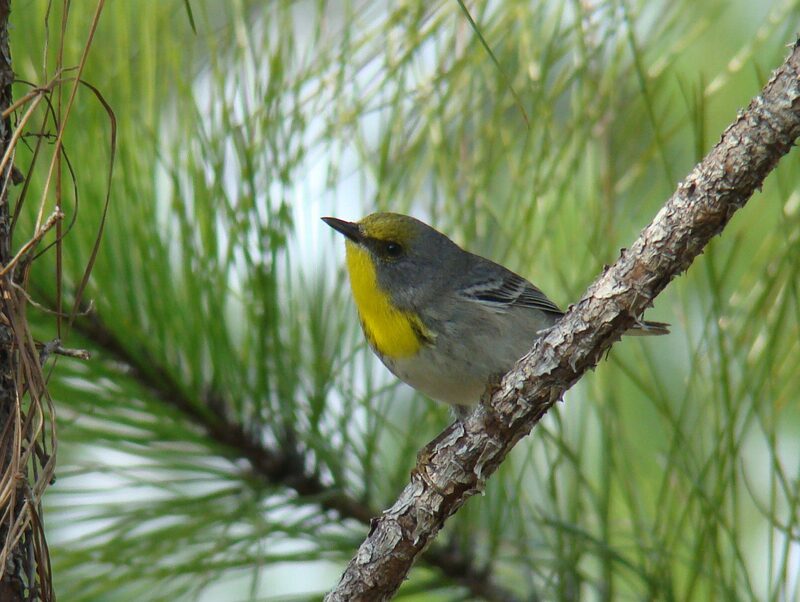 Birds of the Marsh and Mini e-bird Workshop at the Dupont Environmental Education Center on March 6, 8-11am. 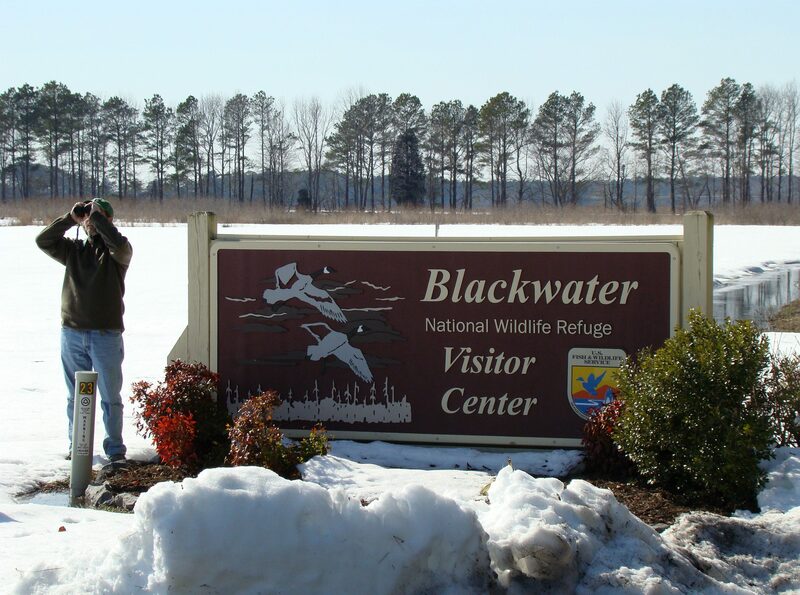 Blackwater NWR near Cambridge, Maryland is a top location for winter wildlife watching on Delmarva. Photo by Ellen Sebastiani. As the days shorten and leaf fall continues, birdwatchers begin to focus in on the legions of returning waterfowl and wintering raptors that fill the marshes and fields of the Delmarva Peninsula. Few destinations are as unique and productive than Blackwater National Wildlife Refuge, near Cambridge, Maryland. 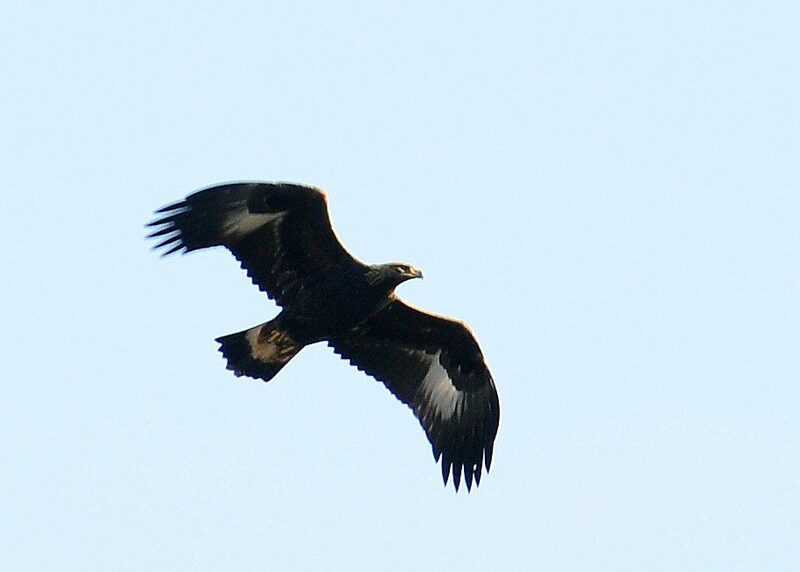 Along with legions of Ducks, Geese, and Swans, the refuge hosts a tremendous number of wintering Bald Eagles – more than any other site on the East Coast, north of Florida. But wait, there’s more! Each year a few Golden Eagles find the vast, open habitats suitable for making a living during the winter. In and around the forest, another distinct species keeps busy – the endangered Delmarva Fox Squirrel. This large, grizzled-gray squirrel only makes it home on the peninsula in scattered patches of open forest. 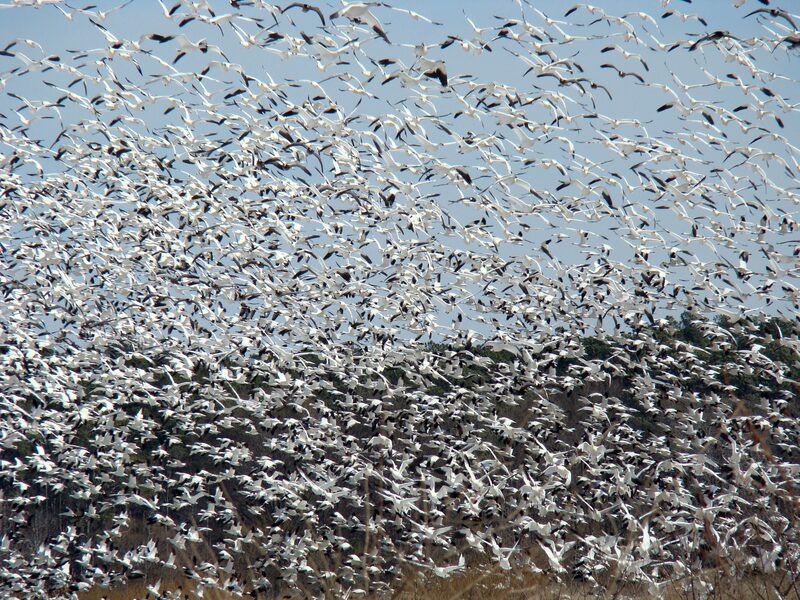 Despite being well-known winter residents, experiencing the sights and sounds of thousands of Snow Geese in close proximity is exhilarating. Photo by Joe Sebastiani. Once again, Delaware Nature Society is offering a trip to Blackwater on Wedneday, December 7th. Groups will depart from both Abbott’s Mill Nature Center in Milford and the DuPont Environmental Education Center in Wilmington. Both groups will depart from their respective sites at 7:30am and return around 4:30pm. 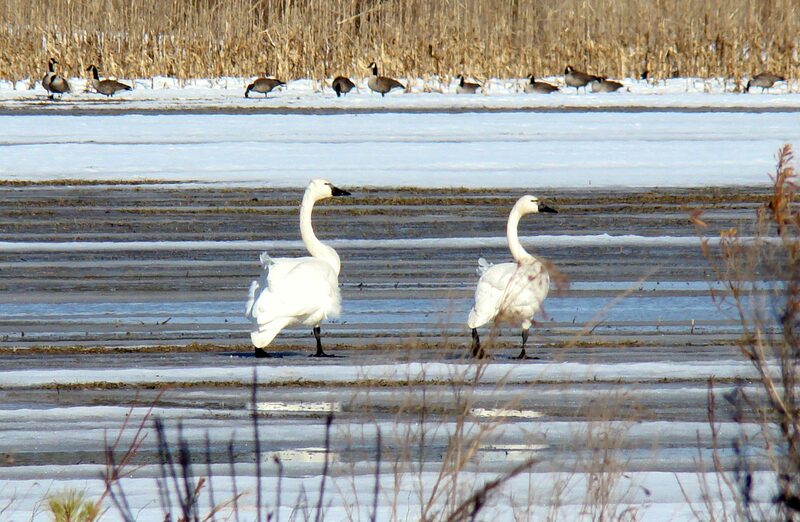 Tundra Swans are one of Delmarva's largest bird species. Photo by Joe Sebastiani. We’ll stop briefly at the visitor’s center before beginning our tour. 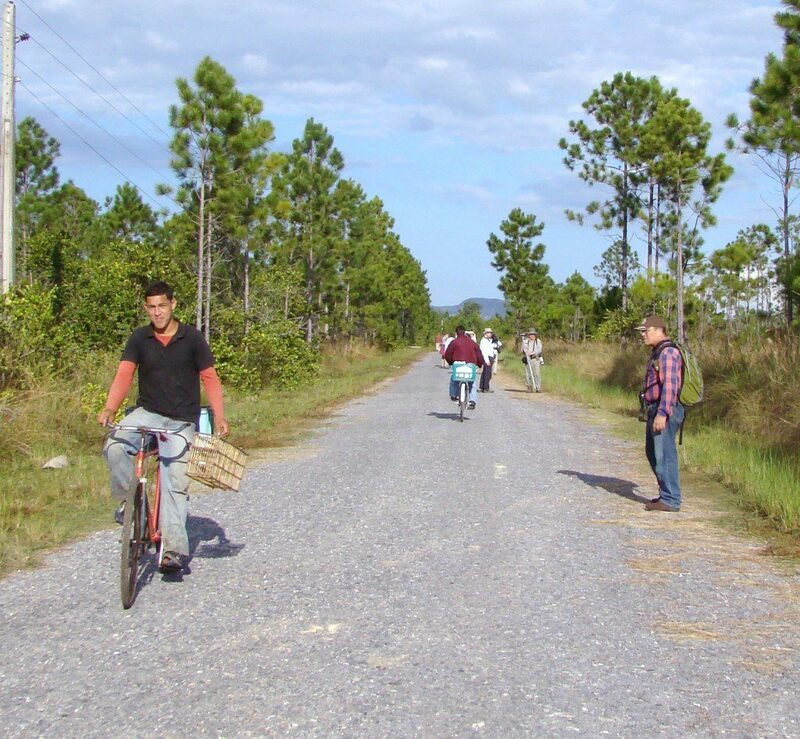 We’ll then travel the wildlife drive auto tour, with periodic stops and short hikes in wooded areas. After a short lunch, we’ll tour the refuge perimeter and open marshes that fringe the Chesapeake Bay area. Time permitting, we’ll venture to the Cambridge waterfront to look for Canvasback, Redhead, and other bay ducks that winter in the area. To register, contact Fiona Smith at (302) 239-2334 x. 134. Dress for the weather and bring a bag lunch. 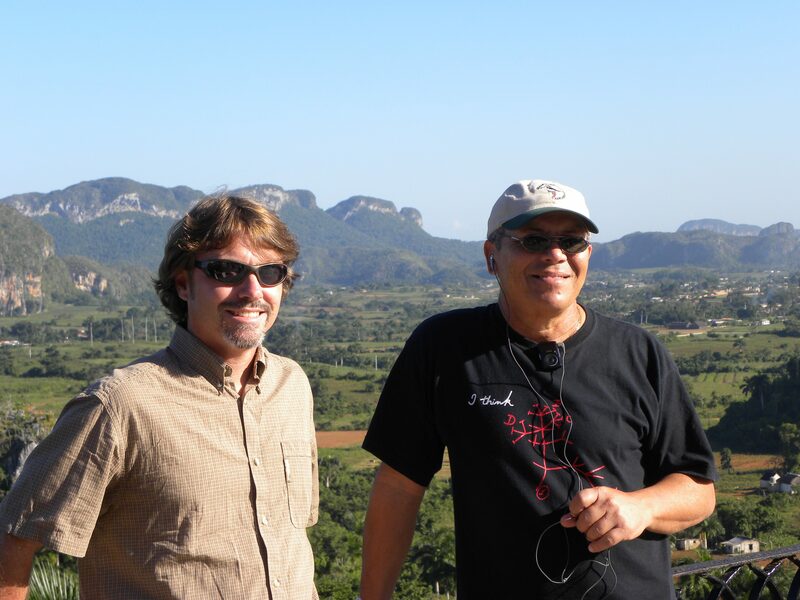 Fourth in a series about the Delaware Nature Society bird survey trip to Cuba in November, 2010. Guanahacabibes National Park was my favorite part of Cuba. Named after the original inhabitants of the area, the Guanahatabeys, this area is at Cuba’s western tip and is very remote and wild. We stayed at a dive center called Maria la Gorda, which means “Maria the fatso.” Legend has is that Maria was a prostitute who was captured by pirates and left here on this remote beach many years ago, where she lived out the rest of her years. Pretty strange, huh? 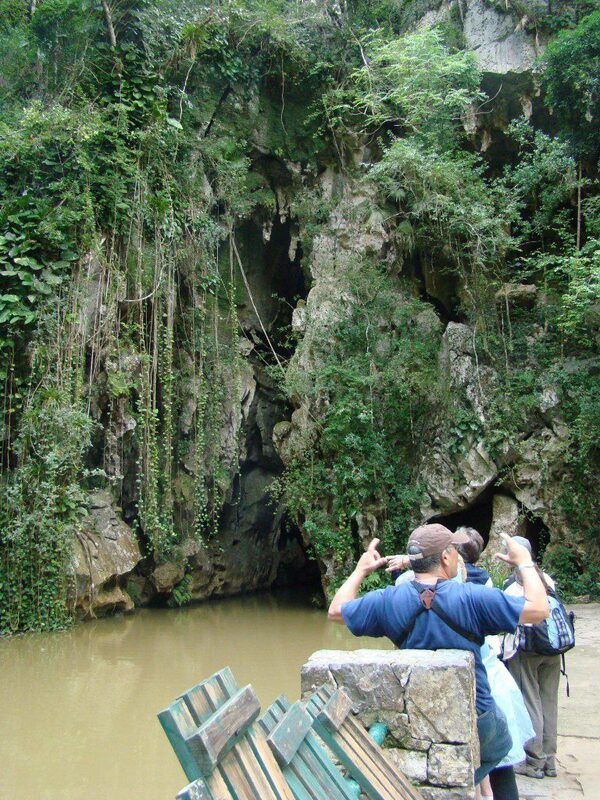 The National Park covers over 1,000 square kilometers and is also designated as a UNESCO Biosphere Reserve. Not only does this area offer world-class scuba diving, but it contains miles of mangrove swamp, coastal thicket vegetation, and limestone karst forest. We surveyed birds for three wonderful days here, enjoying expert park staff, lots of wildlife, beautiful scenery, and fantastic tropical sunsets. Of particular interest bird-wise were migrants from North America that we identified. This was potentially our greatest ornithological contribution of the entire two-week trip. The first cold front of the season passed the day prior to our arrival, possibly delivering a fresh crop of migrants from the north. 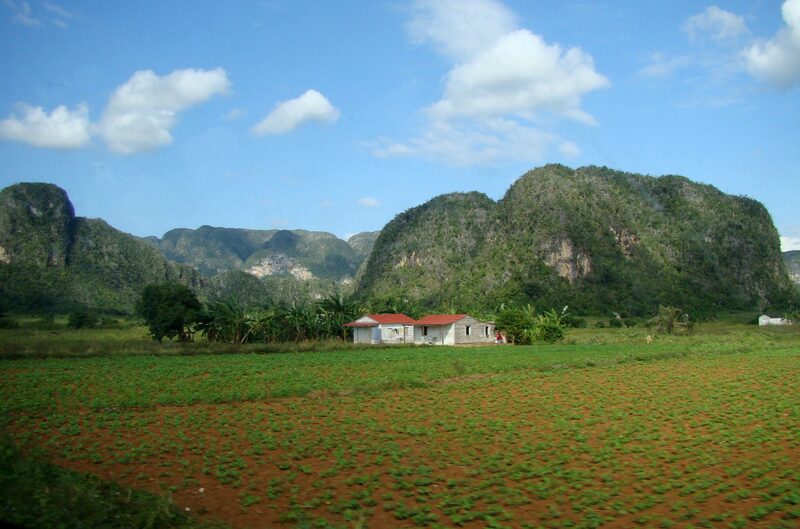 Specifically, we found three species that are not often found in Cuba. The first was a Lincoln’s Sparrow, which is apparently very rare. Our Cuban guide, Osmani Borrego, had never seen one. Next, we found an Eastern Phoebe, classified in the Cuban bird guide as a vagrant. A vagrant means that it does not regularly occur there. Third, we found a Ruby-crowned Kinglet, another vagrant to Cuba, with very few records in the country. All of these were found in the same area on the same day. Maybe these birds are actually more common than what is published in the books, and that more study is needed on their occurrence. Perhaps we made a valuable contribution to Cuban bird knowledge after all. Enjoy a short video highlighting the scenery and some of the other birds we found while in the remote, pristine, and beautiful Guanahacabibes National Park and Biosphere Reserve.